Minutes north of Silverthorne, Colorado, on a gently climbing neighborhood road are the large lots and custom homes that make up the Hamilton Creek enclave. There are trees, but more importantly there is sun pouring onto this little creek valley that faces west to the Gore Range. It's never too hot, here, above the main arm of the Blue River. Any home for sale in Hamilton Creek will be comfortable winter or summer. Views of sunsets over the Gore Range come with all the property in Hamilton Creek. The neighborhood association is well established and manages the utilities district that provides water and sewer for the neighborhood. The roads are paved and maintained. Trails run throughout the neighborhood above to Ptarmigan and downhill to the Blue River, and its Gold Medal fishing waters. Interested in the Hamilton homes for sale? Browse below, or read more about the Hamilton Creek neighborhood. Custom-built homes on half-acre lots, this neighborhood is friendly to year-round residents, families and second homeowners. The architectural style is mountain contemporary, as the local architects all chose to use native materials like wood and stone and lots of glass to take in the views. Hiking, biking and ski trails head up onto Ptarmigan Mountain from Hamilton Creek, and those in the Gore Range are just across the highway. And, some of the best fishing in Summit County is just at the bottom of your Hamilton Creek. Acreage: a few lots under 1/4 acre are available in Hamilton Creek, but most are 1/2 acres, and some as large as 4.85 acres. 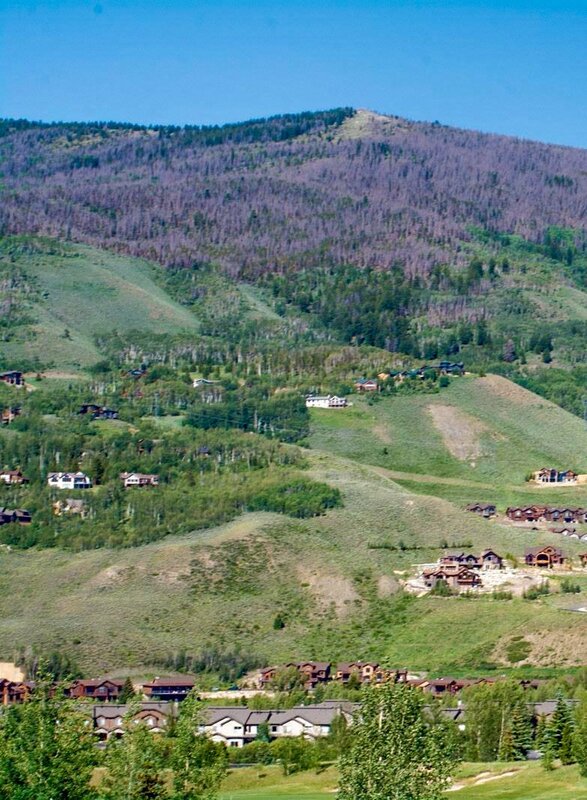 From the I-70 Silverthorne Exit, head north for two mile to Hamilton Creek Road, cross the Blue River, and within half a mile you'll find any home for sale in Hamilton Creek.